This month, the new Congress is getting organized, state legislatures are kicking off new sessions, and countless newly elected and appointed officials settle into their jobs at all levels of government. Nonprofits are understandably eager to build new relationships. Here are a few strategies to welcome policymakers, become trusted resources, and cultivate new champions. 1. Teach first, lobby later. Think about the learning curve at your last new job. Imagine you were expected to know everything on day one. Imagine that everyone is asking for something, and the rest of the world is watching. That’s life these days for a new office holder and their team. A good move is to position a nonprofit not as another group piling on, but as a resource – a place to come for information, institutional knowledge, networking and meeting venues. Of course, you should make the organizational ask, too, but keep it soft at first. Your nonprofit should study up on their newly elected members’ issues and learn the language they use to talk about hot topics. Look for issues that overlap and ways to connect your issue to the ones they seem to care about most. But it’s just as important to know if there are any big areas where you might differ and develop messaging strategies that help you agree to disagree. Start building relationships with the people close to the policymakers you want as champions. Look for their political allies, campaign contributors and journalists they seem to know. It always helps to have mutual friends. White papers and data are important. But it’s always the stories of real people who break through the barrage of information coming at us all the time. Evolution has wired us to relate to new information by turning it into stories; the most effective communicators fill in those story details up front so there’s less room for interpretation. We all do nonprofit work because it makes a difference for somebody. Let’s tell those stories – or even better, let the people in the stories tell the stories themselves in visits, letters or video pieces. While a policymaker and their staff like to call the shots in their media strategy, your organization can offer to pitch in. Draft an op-ed for them to consider signing and placing. Let them know of a story they might want to tweet about. Offer to draft social media posts in the issue areas important to you. Or provide content for issue-based speeches, written in a style similar to theirs. Both chambers of Congress give rank-and-file members plenty of opportunities to deliver speeches, publish remarks and appear at hearings on topics of importance to them. Offer to help draft some of that material. 6. Help localize big news. When I was a reporter, I often had just a few minutes to get a public official’s take on a handful of topics. When I became the press secretary to a member of Congress, I developed an even deeper appreciation for how masterful the best politicians are at moving from one issue to another, even those they don’t work on directly every day. There is constant pressure to localize a story. If a topic of the day intersects with work your group is doing on the ground, let your policymakers know. 7. Host a town hall. A policymaker’s team may take a nonprofit up on the idea of bringing together other organizations and leaders for a public meeting. If you can keep the subject matter narrow to your issue areas, great! You may have to expand to other topics, but you are still recognized by all involved as the host and will have plenty of opportunities in the event coverage to talk about the issues important to you. It’s important to have an ongoing dialogue with the stakeholders in your organization about who you’re engaging with and why. Train people to be both spokespeople and storytellers. And keep them posted on the state of play and your expectations. Here’s to a successful 2019! Giving Tuesday is one of the most stressful times of year for fundraisers. We often get pressure from outside sources to implement a campaign that may not tie into our annual fundraising plan. This usually comes from a good place. Board members hear about other organizations who raised tens of thousands of dollars in one day. How exciting! I can understand the desire to jump on this bandwagon...but not so quick! The question today is ‘Should You’ or ‘Should You Not’ perform a Giving Tuesday campaign? This time of year at Giving Tree Associates, we get more calls about Giving Tuesday than anything else. The answer isn’t always simple; each nonprofit is different. Do you have a plan for Giving Tuesday in place? If you’ve already been planning and have a strategy, goal and collateral in place, go for it! You’re on a good path! If you haven’t started planning for Giving Tuesday yet, keep reading and ask yourself the following questions to make the decision. Do you feel pressure to do a Giving Tuesday campaign because other nonprofits are? All fundraising campaigns should be planned, have a goal, and be well executed. Peer pressure isn’t enough of a reason to run a campaign. Keep in mind, every campaign - no matter how big or small - takes time and resources to execute. If you choose to do Giving Tuesday, you are likely diverting resources from something else that may be more thought out and/or profitable. What do you want to receive on Giving Tuesday? Are you looking for money? Volunteers? Donated goods and services? A connection to friends and potential donors? An intro to social media followers? Giving Tuesday doesn’t only have to be a financial ask. There are many ways to support… and it’s not always money. Do have a year-end appeal in the works? If yes, ask yourself if you can tie Giving Tuesday into that appeal. Can you overlap your messaging? Can Giving Tuesday be a vehicle toward raising funds for your end of year appeal? Does the tie-in seem forced? If it seems forced, it won’t be genuine to the donor. When was the last time you contacted donors en masse? If you have not reached out to your donors in some time, do not ask them for anything on Giving Tuesday. Soliciting donors after not talking to them for some time will feel disingenuine. Being thoughtful goes a long way. If you are on the fence about Giving Tuesday -- I recommend using this time to think about 2019 outreach, communication, and fundraising goals instead. In your planning, consider adding Giving Tuesday to your 2019 plan to give yourself ample prep time to make the campaign a success. It’s a tough time for nonprofits. Competition for foundation dollars is fierce as government funding dwindles and the number of nonprofits continues to skyrocket. 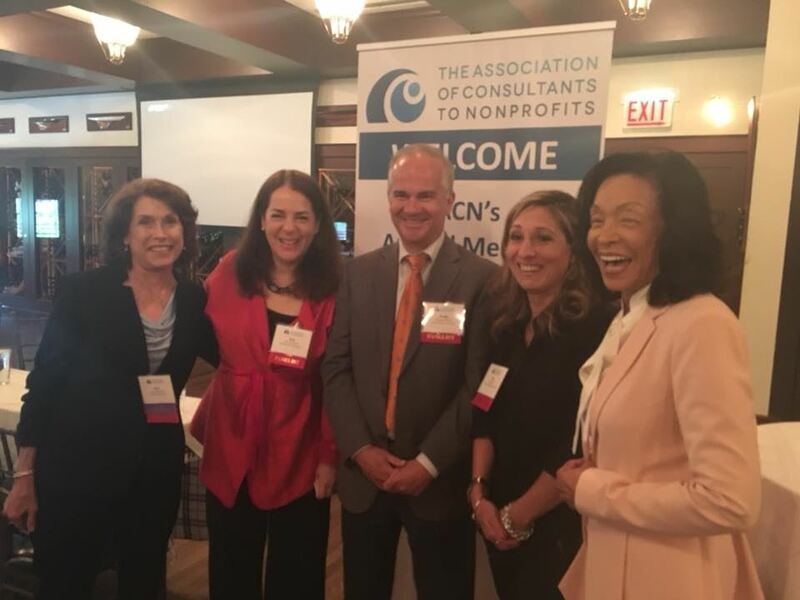 At ACN’s annual meeting in June, a panel of four experienced consultants offered advice on how nonprofits can raise money, save money, and thrive in challenging times. Merri Dee, legendary Chicago broadcaster, former manager of WGN-TV’s children’s charities, and now president and CEO of MD Communications, moderated the discussion. “The first thing nonprofits want to know is how to get more money,” she observed. It’s essential to know where your donors are “coming from and how you can get them to feel comfortable about their investment in your cause and your purpose,” she explained. She’s developed an assessment tool to help clients define or redefine their purpose. “I think clarifying your purpose is a key to success,” she said. 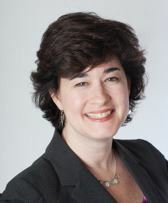 Hiring the right fundraiser is important, too, noted Amy Schiffman, co-founder and principal of Giving Tree Associates. It’s essential that your development director be experienced at working one-on-one with foundation officers, individual donors, and with board members to mine their own networks, she said. Do Your Research. A fundraising strategy needs to be backed up with data, said Schiffman. Nonprofits should know how much money each fundraising activity costs and generates to calculate a return on investment. They should also know the number of donors at each fundraising level and the names of top funders. Many nonprofits have never analyzed their fundraising data, she said. A documented strategy is more than a fundraising calendar, she explained: in as little as two or three pages it lays out where the dollars are coming from over the next year, the cost of raising them, the tasks, the role of board members, and the hours each staff member will devote to each step of the process. Such a document gives everyone including the board clear direction, she added, and prevents mid-year brainstorms (Gala! Golf fundraiser!) from upending the rest of the plan. Mid-way through the panel discussion, Dee said it was time to talk about how nonprofits can hold onto the money they’ve got. “How should not-for-profits reprioritize their spending?” she asked. Work efficiently. Every nonprofit should conduct a work flow analysis—a systematic study of who does what—with the aim of increasing efficiency to better serve clients, said Joyce Golbus Poll, principal of the proposal-writing firm J.G. Poll & Associates. Too few organizations take the time to do this, she added, which wastes the money she works hard to raise. Her favorite approach is for each department to form a team to study what they do. “That builds team spirit and morale,” she said. Nonprofits that sharpen their focus increase their impact, said Carrier. 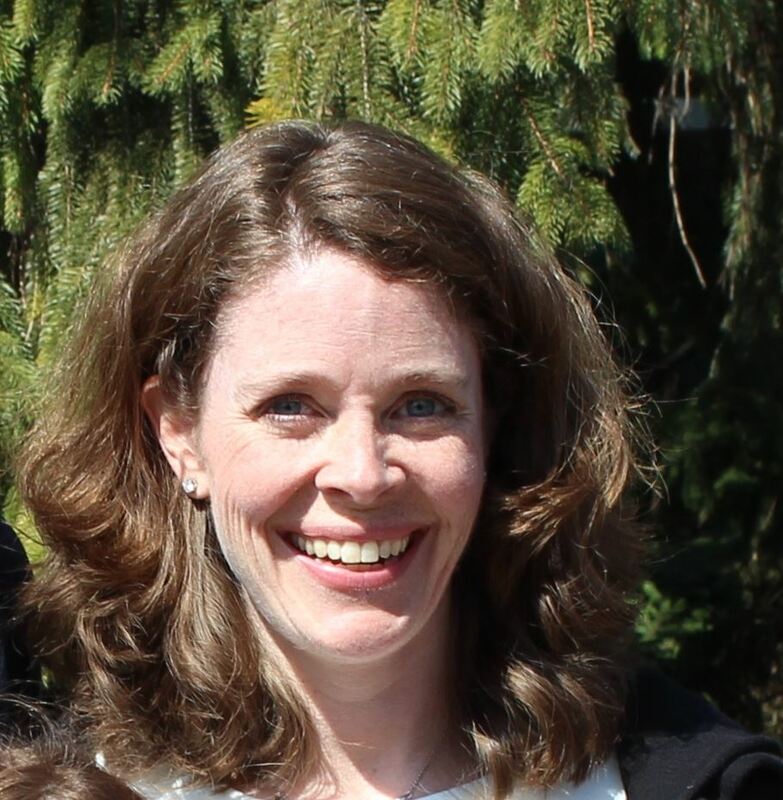 She works with nonprofits to hone in on their purpose and then identify one or two first steps to better focus their work. Cut big costs. 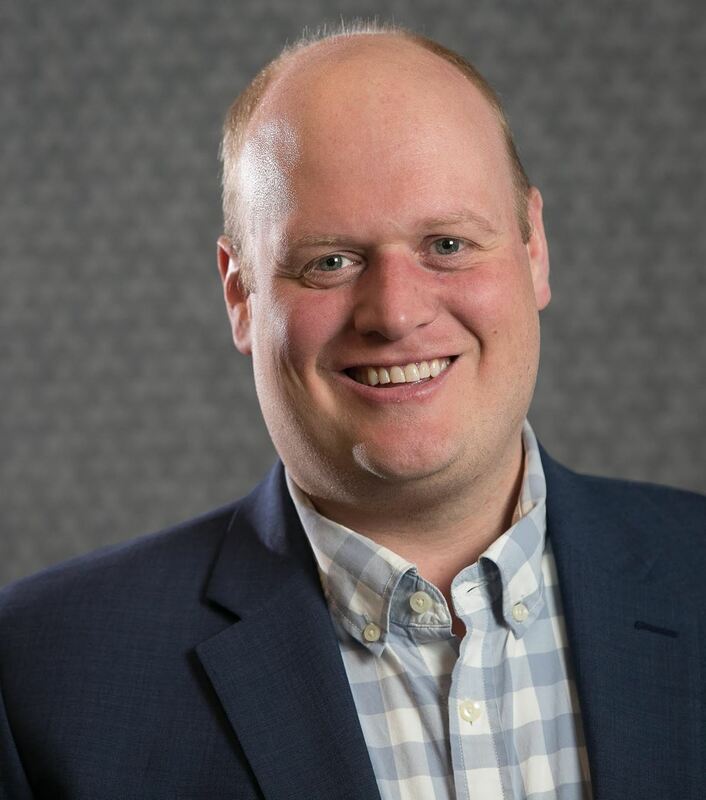 Nonprofits often don’t realize how much they can save on their two biggest costs—healthcare and payroll, said Gregg Mellinger, a vice president at USI Insurance Services. Those huge profit margins leave plenty of negotiating room on health insurance premiums for those who understand the system, he explained. Nonprofits can also save money by offering a better benefits package, Mellinger said. Many employees will accept a lower salary in exchange for benefits that meet their needs. Where nonprofits fall short is offering a one-size-fits-all benefits plan rather than allowing employees to pick and choose from a menu of options, he observed. Position yourself strategically. Nonprofits position themselves to win grants when they can clearly articulate their strengths and advantages over the competition, said Poll. Knowing your competitive edge can also make you a better collaborator, she continued. Foundations look favorably on partnerships, and competitors can become allies on projects when they know how your unique strengths would benefit them. Social sector organizations are no longer called charities, and even the term “nonprofit” is falling out of favor, for good reason. The level of professionalism and results orientation in the nonprofit sector has increased dramatically, and the line between for-profit and nonprofit is increasingly blurred. The dynamic of a corporation or foundation as benefactor and a nonprofit organization as grateful recipient, though, is tough to shake. How can social entrepreneurs feel like they’re on a level playing field? When considering partnership strategy, social sector leaders need to take stock of what their organization has to offer, with an eye on how they are uniquely positioned to add value to potential partners. Evaluate your strengths. Small or new organizations can’t offer the levels of brand recognition of more established organizations. But every nonprofit can offer a unique combination of assets that could add value to a potential partner. Maybe you have a vibrant in-person and/or online community, with strong constituent relationships. You may offer a more entrepreneurial perspective, or provide unique insights into emerging challenges or trends or in your sector. Finally, collaboration or programming with your organization could help establish the partner’s credibility in a new area. Understand what won’t work for you. Determining what you can’t or won’t offer to a potential partner is as vital as envisioning how you do want your partnerships to evolve. Some companies are interested in large-scale volunteer opportunities, but is your organization prepared to handle those well? If not, what alternatives can you offer confidently, such as mentorship or pro bono consulting? Will you provide direct access to constituents, through in-person contact, or via social media campaigns? Know your limits on what information and access can and should be shared before the subject comes up. Refine your message. Most social sector organizations focus communications on what they do, how they do it, and what they’ve accomplished. To attract partners, however, you should enhance these messages to highlight your unique value and assets. A dynamic invitation to create shared impact shouldn’t be relegated to the “Get Involved” section of your web site; it should be an integral part of both your strategy and your communications. Identify your ideal prospects. Make your own list! No magazine’s “2018’s Most Innovative Foundations” or “Top 10 Corporate Citizens” constitute your organization’s highest potential partners. Start with organizations whose values and purpose align most closely with yours. Then, look closely at what you’ve identified as your greatest assets and needs and find organizations whose strengths complement, rather than match, your own. Be creative! Financial contributions are important, but establishing trust and building relationships is far more critical for long-term success. Identify engagement and collaboration opportunities that aren’t focused on funding, at least initially. How might you add value to their employee base through pro bono or other volunteer opportunities? Does the partner have products or even office space to donate, either for a special event or longer term? Can you publish a joint paper on a topic of pressing concern to both organizations? A partnership strategy can only be successful if given careful thought and preparation. Be proactive. Reach out to unusual suspects. Come up with – and be open to – innovative ideas that engage people throughout the partner organization on various levels. Recognize that no matter the size or scope of the organizations involved, the best partnerships happen when both parties are on equal footing. What Kind of a Leader are you? >The “Follow me” leader. This style works best when a new direction is needed. It focuses on the end goal and depends on the team to provide the means of getting there. >The “Do as I do now” leader. This style is usually a good match to an already motivated and skilled team where quick results are needed. In the long term, however, it can overwhelm team members and frustrate individual motivation. >The “People come first” leader. This style usually works well when healing is needed within the group for any number of reasons. It depends on building relationships with the team and convincing them that they belong to a family of folks seeking a common goal. >The ”Let me help you improve” leader. This uses a coaching style to help the team develop long-lasting skills that will serve them in the future. It is the least effective in situations where the team is unwilling to learn and/or doesn’t trust the skills of the leader. >The “I’m the boss” leader. This style follows a “just do what I tell you” philosophy which works in times of crisis. Unfortunately, it also can alienate team members and block individual incentive and creativity. >The “Consensus” leader. This style enlists the input of all team members on solutions for the challenges being faced. It encourages team members to take ownership and become a part of the solution. This style doesn’t work well in emergencies or when team members are not informed enough to offer creative suggestions. It is incumbent upon the true leader, who is seeking long-term effectiveness and therefore success, to be able to adapt to any and all of these styles based on the situation and the need of the team members individually and collectively. Teams are destined to be made up of different personalities, different skill sets, different individual goals and different needs in terms of what motivates them. It is the leader’s responsibility to assess and fully understand the different elements of the members of their team and as a result be able to maximize the potential of the team. That’s why we have many more managers and fewer great leaders. So What's This Strategic Planning all About? We make the comment on our web site that “an organization without a Strategic Plan is merely running around putting out fires every day”. While possibly somewhat of an exaggeration, it’s really more accurate than you might think. Strategic Planning (SP) is defined as “The science of defining and using resources to accomplish a specific purpose”. That seems pretty simple! The reality is, that for an organization to move to a Strategic Plan environment it will require outside professional assistance, commitment of a planning team and a fair amount of time to initially get the plan and all of its tentacles established. The Planning Team (PT) needs to be made up of three or four people from your Board, your top level operational leadership team (probably three or four) and an outside professional to facilitate and help guide you through the process. The PT must initially define or visit and redefine in writing the purpose for which the organization exists (Mission Statement), a sense for the ideal future of the organization (Vision Statement) and the tenets which are important to and serve as enduring principles which guide the conduct of those who are part of the organization (Core Values). The Mission Statement and Vision Statements should be kept short and very definitive – two or three sentences. The Core Values of your organization will probably require a much broader listing of those things expected of those employed by the organization which will also guide how you do business. S = Strength Those elements of the organization that make it effective in the accomplishment of its mission/vision and fulfillment of its operational mandates. W = Weaknesses Those elements of the organization which may hinder it from effectively accomplishing its mission/vision and fulfillment of its operational mandates. O = Opportunity A combination of external and/or internal factors and/or circumstances which could affect the organization in a favorable manner. T = Threats A combination of external and/or internal factors and/or circumstances which could affect the organization in an unfavorable manner. Strategic Initiatives (SI’s). These will propel the organization in the direction of fulfilling the Vision Statement of the organization within the context of the purpose for which it exists and the values by which it operates. As a rule of thumb you will probably only want to establish four to six of these, from an organization capacity standpoint. These will then be followed by Action Plans (AP’s) to accomplish the SI’s with assigned responsibility. The planning horizon for the AP’s should be no more than three years. In our opinion it’s virtually impossible to predict accurately beyond a three year horizon. The PT will review and report to the Board every six months on the SP status along with any impediments that have been encountered on the AP’s and what is being done to overcome them. In this way the document becomes a living document that is driving the organization. Each year a new year is added to the planning horizon. What I have done here is to provide you with a very abbreviated outline for a very encompassing scientific business process. The SP will allow your organization to stay on goal while at the same time staying flexible enough to respond to the daily emergencies and requirements. The SP will drive your staffing, your financial planning process and even departmental and individual goals. It gets your whole organization pulling in the same direction which usually translates into great results. During my 20 years serving the third sector, four as a CEO and more than 16 as a consultant, I have seen dozens of nonprofits struggle with a leadership transition. The departure of a chief executive, especially if unanticipated, can result in a lack of momentum, direction, and stability. Staff morale is likely to plummet, funders and partners may be inclined to withdraw support, and critical services and community outreach efforts could be impaired. Unfortunately, there is often a knee-jerk reaction on the part of the board of directors, with some boards experiencing an outright sense of panic. The worst strategy is to be in a hurry. Rather than taking the time to evaluate the organization's priorities and complete a thoughtful search for a new executive director, many boards rush ahead to get a warm body to fill the vacancy. Sometimes the board chair decides to fill in on a temporary basis, which is a remarkably bad idea for many reasons. Another approach is to promote the second in command, which might be the CFO, COO, or program officer. The finance or HR person might be very good at their respective jobs, but may be a fish out of water as the CEO. Expecting a senior staffer to take on the additional role of "Acting Executive Director" places an undue burden on an already stressed individual. Asking someone to double up and work 50 or more hours a week just isn't wise. Even with a temporary bump in salary, resentment is liable to build. I've seen board members hire friends, pay unscrupulous search firms or staffing agencies to find a likely unqualified candidate in record time (the principled ones won't comply), or try to do an unassisted search with little or no plan or focus. The person who winds up in the chief executive's chair under any of these circumstances is what we call the "Unintentional Interim". The promotion from within, the board member acquaintance in need of a job, or the poorly interviewed and vetted candidate almost invariably fail. The cycle starts again and the door keeps revolving. I remember one nonprofit who had four executive directors in three years. It was no surprise, after several donors pulled out, that the organization closed its doors for good. Some nonprofits choose to leave the position vacant, on occasion for as long as a year, with the misguided objective of saving money. Then, predictably, entropy moves from order to chaos. Turns out it wasn't such a great idea, after all. To quote the poet Yeats: "Things fall apart; the centre cannot hold". Laying low and hoping things will just "work out" usually isn't the best strategy, either. What is the best strategy? How can a nonprofit safeguard and even improve its current operations and service delivery while taking the time required to conduct a thorough search for effective new leadership? A professional Interim Executive Director. An experienced nonprofit consultant with advanced training in transition management. Hiring an Interim ED creates the time and space a board of directors needs to recruit the best candidate for permanent leadership. It also gives an organization the opportunity to step back and reassess its mission and grasp the bigger picture. Using a qualified Interim ED ensures uninterrupted workflow and continuity for programs and services, stabilizes relationships with key funders, keeps revenue streams on track, creates a calm and morale-building atmosphere for staff, and bridges the gap with an unbiased senior leader who specializes in managing extraordinary and difficult situations. A change agent who removes the burden of a steep learning curve or impending crisis from the new permanent ED, giving that person the ability to hit the ground running. When should a nonprofit consider using an Interim ED? The unexpected exit of an Executive Director would seem to require an Interim. The departure of a longtime or founding leader and/or the lack of an identified or prepared successor would also call for professional interim leadership. Not every nonprofit needs an Interim ED. Some executives announce their retirements well in advance. Some nonprofit boards have taken the initiative to put a succession plan in place. Some nonprofits are so extraordinarily well-run that they may function like a well-oiled machine, though even in that case, an Interim would help keep it that way. How long do Interim ED engagements typically last? Engagements usually run 4-12 months with a 24-40 hour per week on-site commitment. The schedule depends on the complexity of the situation and assignment, and may increase or decrease as appropriate. It should be noted that Interim EDs are never to be considered a candidate for the permanent position. The success of the Interim largely depends on their ability to remain unbiased. Can my nonprofit afford an Interim ED? Can you afford to hobble along on a wing and a prayer? Compensation to Interim EDs is usually in line with what you would pay a permanent ED. If your current financial situation is holding you back, consider approaching your key funders for assistance. Those who have invested in your organization want you to succeed. This is not an unusual request. If your nonprofit is facing a leadership transition, don't struggle unnecessarily. Consider engaging a professional Interim ED. The health and well-being of your nonprofit is at stake. One of the services that ACN offers to nonprofits is distributing notifications of Requests for Proposals (RFPs) to its members. Through ACN’s process of distributing RFPs, W4Sight has both successfully secured new business and gained some insight about the RFP process. Last week’s post focused on advice for consultants on going through the RFP process. Today, we’re addressing some advice to nonprofit organizations, from a consultant’s perspective. An RFP describes a specific project for which an organization would like to hire a consultant, and provides a set of instructions for preparing a bid. Organizations use RFPs – rather than simply interviewing several consultants gathered from recommendations of friends or colleagues – to provide additional formality to the process and to avoid favoritism or lack of competition. Some funders, particularly public funders, require a competitive process designed to foster a broad range of choices for the agency. Organizations compare RFP responses on price, qualifications, and the proposed approach to the project. Most funders do not require an organization to select the lowest bidder when the RFP is for consulting services. The RFP allows you to attract a wider range of potential respondents than you may have personal connections with. As a professional association of career consultants, ACN distributes your RFP to a core group of high-quality, reasonably-priced practitioners with a wide array of experience and – just as importantly – a professional network of potential colleagues. For projects of larger scope, ACN members can connect with one another to develop a proposal that meets an organization’s needs: according to the most recent member survey, 19% of ACN members have collaborated with one another on projects in the last year. Essentially, submitting an RFP through ACN is the fastest way an organization can get their project in front of a variety of specialists. What goes in an RFP? Know what you want. Recently, a colleague of ours encountered an organization that distributed four versions of a single RFP in three months’ time, each with a slightly different scope and project description. This is a red flag – if your staff and leadership aren’t comfortable with an RFP going out, then it needs to be revised internally until they are. Be clear. In our experience, many organizations have little experience in preparing RFPs, and their initial project description may not be a clear description of what they are really looking for. For example, many projects include the term “strategic planning” to describe anything from a board-level strategic plan to chart the future of the organization to a more tactical plan for executing existing organizational priorities or initiatives. Be specific. If your RFP is only 2-3 pages, it’s a good bet that consultants will have a lot of unanswered questions about the project. If your work plan depends on conducting interviews, for instance, but it’s not clear how many interviews the consultant will need to conduct, it will be difficult for them to provide you with an accurate price. In order to help consultants prepare an accurate work plan and pricing, provide the detail they need. An organizational chart and explanation of which parts of the organization are affected by the project is extremely helpful. Also, be as specific as you can about the timeline you are expecting and any special constraints that will affect the project – such as a special event that will be a major factor for staff time for the 2 months prior and 2 weeks after the event. Set a budget. In our experience, pricing in RFPs is sometimes like a game of “chicken” – no one wants to set the price first. Organizations worry that consultants will develop a project plan that uses the entire budget, while consultants are leery of doing the work of putting together a proposal until they know that an organization has budgeted an adequate amount. But by being explicit about their budget, organizations will attract the most qualified candidates who can do the work and stay within your budget. If a proposal comes through that seems as if the consultant is “padding” the scope of work to meet the budget – it’s easy enough to put their proposal in the “no” pile! Be open and fair. Independent consultants may not have graphic designers to polish their proposals – but that doesn’t mean that the quality of the work is any different. Stay focused on the substance of the expertise you are looking for. Also, remember that independent consultants don’t get paid for writing proposals, so please be mindful of the time you are asking them to put in. There are occasionally situations where the client asks for so many revisions to the proposal that they are essentially looking for a good portion of the project work to be done as part of the selection process. This is an unfair expectation, and can make for a difficult start to a relationship. Thanks for taking the time – Best of luck on your next RFP! Want to submit an RFP through ACN’s portal? Click here. One of the benefits of ACN membership is receiving notifications of Requests for Proposals (RFPs). Through ACN’s process of distributing RFPs, W4Sight has both successfully secured new business and gained some insight about the RFP process. We’ve written two posts about the process from a consultant’s viewpoint – this post focuses on our fellow consultants. Next week we’ll follow up with a post geared toward nonprofit organizations. Be mindful of timing: RFPs coming through the ACN pipeline may have been released a week or two earlier, leaving a tight deadline to respond. If you are receive the RFP only a few days or a week before the deadline, some organizations are willing to grant you an extension if you are a qualified respondent. However, you do need to contact them immediately to explain the circumstances and let them know when you can submit a proposal. Timing is also important because organizations with larger projects also sometimes hold a bidders’ conference, and the date and time are listed in the RFP. It’s important to check right away so that you don’t miss the opportunity to attend. Some bidders’ conferences are mandatory if you plan to respond to the RFP, while others are optional. If you plan to respond to an RFP and there is a bidders’ conference, it’s a good idea to attend. The organization walks through the project expectations in some detail, and explains the response format required along with any other special requirements. If you think you may need to partner with another consultant to provide the whole range of services needed, leverage ACN’s network to find collaborators. Decide if it’s worth responding: Many consultants avoid RFPs because of the time commitment and/or the inherent risk involved. Consultants often believe that they have a much better chance at securing a contract when they have had a chance to cultivate a potential client and get to know their organization. Are the services requested comfortably within your area of expertise? If it’s a stretch, be careful about spending time writing a proposal for a project you’re not really a good fit for. Does the RFP provide enough detail to put together a solid proposal? – If it’s vague (a good bet if it’s only 2 or 3 pages), reach out to the primary contact to ask some key questions. – If the RFP clearly says “no emails/calls”, then don’t harass them. However, make sure that the assumptions you make about your approach that impact your budget and timeline are clearly documented. Make sure you indicate that changes to these assumptions may require an adjustment to the budget/timeline. Does the project have strategic value? One of the benefits of responding to an RFP is that it gets you in front of an organization that you might otherwise not have encountered or had a reason to contact. Ask yourself if the organization or project could add strategic value to your practice – either because of the potential network it presents, or because the project would provide you with a key type of reference you don’t already have in your portfolio. Develop a Solid Proposal: Of course, no RFP is perfect, so consultants need to find creative ways to create useful proposals. For example, we won one project from a client, despite the fact that the organization was unresponsive when we attempted to ask questions prior to the deadline. Because the project was substantial, and an excellent fit with our expertise, we went ahead with the proposal – though with many documented assumptions. Even though some of our assumptions turned out to be incorrect, the clearly documented work plan was enough to convince them that they should meet with us. We were able to collaborate on the revised scope and come up with a more appropriate statement of work after meeting with the organization. In the end, it was a successful project, and an important credential that we could reference later. Project Understanding – summarize what you think you understand from the proposal, in your own words. Approach – provide a detailed project plan in narrative form. For each step or phase of the project, clearly indicate what the major tasks are, what resources the client is expected to provide (type of staff and approximate time commitment), and expected deliverables. Assumptions – as you are writing up the approach, pay close attention to how you are formulating your work plan. For instance, if the project is to help the client develop a stronger board, and one of your tasks is to identify candidates, make sure you are clear about how many screening calls you are prepared to have, how many interviews you are prepared to do etc. The actual numbers can be updated later, but it’s important for the client to know what your pricing is based on. Another example might be the responsibility for generating materials for a training. You might want to indicate that you will prepare the materials and provide them to the client in electronic form, but making paper copies is their responsibility. Pricing – provide a summarized version of your pricing that follows your work plan. If your project approach is in three phases, explain what each phase will cost. Be clear if you are providing a fixed price for the whole scope (assumptions are critical for these projects), or if your pricing is on a time and materials basis at an hourly rate. Qualifications – describe your previous experience that’s relevant to the project. Detailed resumes may not be necessary, but the client should definitely get a clear understanding of why they should choose you over others. Can Consultants Help Nonprofits Help Companies with CSR? By: James Reeves, Do Well Do Good, LLC. This guest post, from James Reeves of Do Well, Do Good LLC, highlights some of the great discussion from ACN’s February 25th program. A special thanks to James and our other participants! This morning I had the honor of speaking on a panel for the Association of Consultants to Nonprofits, along with Bill Bonner of Bonner of IMPR and Leah Bradford of the Kraft Foods Group and the Kraft Foods Group Foundation. In addition to being really impressed by ACN as an organization, I really enjoyed the lively and engaged crowd that had thought provoking questions and great contributions. How are companies using consultants to develop corporate partnerships related to Corporate Social Responsibility (CSR) or sustainability? Does this market have potential? First, I think it’s important to start nearly every conversation about CSR by defining it. The simplest definition I give is that CSR is managing and organization’s business operations in a way that is good for people, profit, and the planet. CSR deals with a wide range of issues: supply chain & human rights protection, lobbying, workers’ pay and benefits, product life cycles, investments, public disclosure practices, diversity and inclusion, and carbon emissions to name just a few issues. A very key point is that CSR includes philanthropy, volunteering, and community relations, but as I pointed out, CSR is much more than that. Don’t conflate the two terms. For the purpose of this article and this morning I treated the terms CSR and sustainability as being synonymous. For the most part, nonprofit organizations tend not to engage with companies – specifically in helping them with CSR. For the most part, most nonprofits are geared to work with companies in the community relations or cause-marketing spheres. However, occasionally a nonprofit can help companies fulfill their goals related to the social or environmental impacts of their business. A great example is Aspire, a Chicagoland nonprofit that helps differently abled adults attain meaningful jobs (as well as many other services). The nonprofit partnered with OfficeMax and the Kessler Foundation to develop a training program to help Aspire’s constituents thrive in a retail or warehouse work environment. (Full disclosure: years ago, I worked and consulted for OfficeMax, but I had no involvement in this program). This program helped OfficeMax with its diversity and inclusion efforts while also servicing Aspire’s constituents. For cause-marketing or community relations programs (philanthropy/volunteering) a nonprofit’s role is primarily focused on using its assets to help a company. This could be the non-profit’s brand or logo to be put on a product’s packaging to increase sales and support a cause. Or a nonprofit using its Board of Directors to help a company’s executives create relationships in the community and build their leadership capabilities. A nonprofit is helping a company with CSR when it is primarily focused on using its expertise to help a company. In this case, Aspire has a unique and differentiating skill set that few organizations have: insights into the employment of adults who have a different set of abilities. Tough Love: A Role for Consultants? Not really. While I have helped some of my clients with their relationships with nonprofits, I do not see it as a major market for consultants to dive into. So my tough love advice is: will it put food on your table? Maybe. But if so, it’ll likely just be a side dish. However, things aren’t so bleak. The projects I have worked on for my for-profit clients include facilitating such meetings and benchmarking existing and not-existing relationships against future needs related to CSR strategies. Yet, this wasn’t something I specifically “sold” as a service to my clients. Rather, I received these projects because I was already a trusted adviser, known for excellent research, writing, analytical, and facilitation skills. So while those were the services I provided, they just happened to be on the subject matter of relationships with non-profits or Non-Governmental Organizations (NGOs) related to specifically to CSR programs. Sponsorships between nonprofits and companies dealing with CSR are so closely ingrained with a nonprofit’s core abilities that bringing in consultants would be redundant. In fact, one could argue that it would be a warning sign that a nonprofit may not be as strong of a partner if they have to bring in non-ancillary help. So my honest advice to consultants is to focus on your core competencies rather than trying to become the central hub of nonprofit and for-profit relationships. If such projects arrive, treat them as welcome appetizers rather than regular entrees.